Britt, What a pleasure working with you to find your new home in the adorable Kirkwood neighborhood! Big shout out to Paige for sharing our names with you! We know you will LOVE your new home and it’s excellent location! Lori, thank you for allowing The Peters Company to assist in finding your first home. Love that the townhome met all of your requirements! And you are so lucky to be right on the belt line. Congratulations! Shout out to Brittany again for referring us! Tim and Lori, congratulations on buying your first home together! You will love living in Brookhaven Fields and are surrounded by great neighbors. Wink…wink… Thank you for trusting me to help you find a super house! Kathy, we did it again… We found another great investment condo in Buckhead’s Cross Creek neighborhood! With your vision and hard work, you will have it leased in no time. Congrats! Kimberly and Jefry, So glad we were able to find you a wonderful home in Sandy Springs that is ready for your finishing touches! I hope you enjoy gardening in your beautiful, private backyard this summer! Seth and Kendra, congratulations on your cute home in Briarcliff Heights! So happy we were able to snag that one as it was sure to get gobbled up quickly! It is the perfect home for you! Erinn, after seeing many not so great condos, we found the perfect one with a beautiful view and balcony with a bright space for your office. I hope you enjoy your new home and convenient Sandy Springs location! Congratulations! Congrats to Bo and Cassandra on your gorgeous new home! I love that you found such a great house in an unconventional way! As it turns out, “Make Me Move” on Zillow does work, ha. We’re glad that you stayed nearby, and we know Chamblee’s Gramercy Park is lucky to have you! Thanks for all of the laughs along the way. 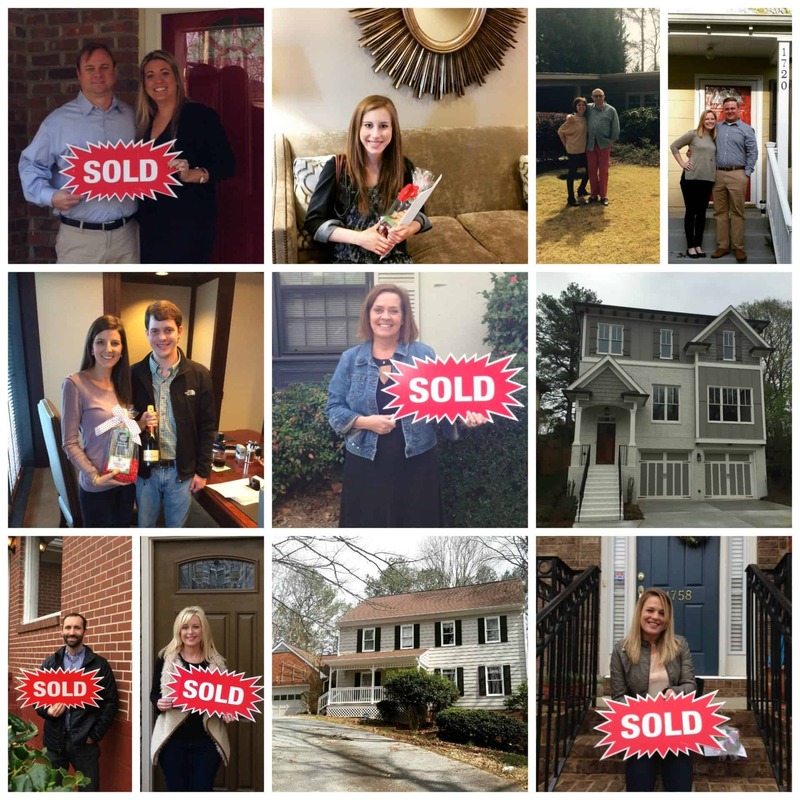 Kristie and Eric, the road wasn’t always easy, but thanks for sticking with The Peters Company through moves, transfers, sales, multiple offers (and more multiple offers) to ultimately land you an amazing home in North Druid Hills! We can’t wait to see you on the patio at Verde, but only when you’re not enjoying your amazing back yard! Please send photos of the new puppy! Congratulations! ← Just Listed :: Beautiful Traditional in Mableton!